Below is the language Praxis will submit as our public comment for a federal policy proposal impacting immigrants. Please feel free to borrow and add your own unique voice from the non-italicized language below, to submit your comment HERE before the April 16th deadline. This proposal would significantly affect vulnerable populations’ health and welfare and as such present an important opportunity for us to share our perspectives. If you or someone you know could be impacted by these policies, we encourage you to share what you expect would be the consequences of this policy for you and your family or community. Background: The Department of Homeland Security (DHS) and the US Citizenship and Immigration Services (USCIS) are proposing an online USCIS Tip Form that would presumably collect information from the public regarding ‘credible and relevant claims of immigrant benefit fraud’ surrounding pending or ongoing benefits. The form states that it should not be used for tips regarding smuggling, human trafficking, national security or public safety; and at the end of the form, it says that the information collected may be shared for law enforcement purposes or in the interest of national security. The form collects the submitter’s name and contact information as well as the type of suspected fraud or abuse, the type(s) of parties involved (individuals, businesses or both) and a summary of the suspected violation. The form says that DHS will use the information provided to ‘ensure the integrity of the legal immigration system and to determine eligibility for a requested benefit’. The Praxis Project submits this public comment in opposition to the Department of Homeland Security (DHS), United States Citizenship and Immigration Services (USCIS) proposal to implement the new Form G-1530: USCIS Tip Form, OMB Control Number 1615 – NEW, Docket ID USCIS-2019-0001, published in the Federal Register on February 15, 2019. Our perspective is informed through interactions with our many base-building grassroots partners around the United States, who are committed to Community Safety. 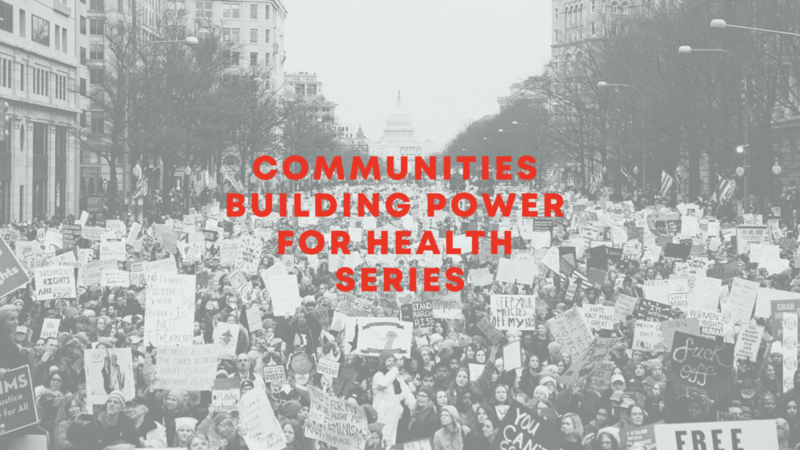 In fact, among our network, Community Safety is the fourth-most frequently-focused on the social determinant of health that grassroots partners are campaigning and/or advocating around. Our grassroots partners and their fellow community members experience intergenerational inequity, injustice and trauma around over-policing: which further manifests as disproportionate incarceration of and diminished public safety for people of color. We fear that this proposal would only exacerbate this inequity. We are deeply concerned that USCIS is proposing to transfer its duties to adjudicate (unsubstantiated) requests for immigration benefits, to laypeople who are neither trained nor vetted to investigate suspected or actual fraud by anyone else, let alone the specific target of this proposal – immigrants. The Department has not offered any justification for further formalizing the existing process under which fraud can be reported. Furthermore, Muslim, Arab, Iranian, Middle Eastern and South Asian Americans are facing increasing levels of harassment and violence per the FBI’s own documentation. Due to this and other evidence of the epidemic of bias and bigotry that is already affecting community members across the country: we do not accept further subjecting immigrants or people who ‘look like immigrants’ to ongoing targeting, scrutiny, surveillance and potential loss of government benefits without a) sufficient evidence and b) due process. This treatment of immigrants and others would constitute government-sanctioned harassment and intimidation. In addition, the broadness of the form coupled with the lack of clarity in how the information collected could be used in adjudications – including what opportunities could be offered for applicants to learn about and refute allegations against them – are unjust per our nation’s existing legal framework. This is especially concerning given that the form states that information may be shared liberally with other law enforcement agencies. Furthermore, the failure to collect information from the person completing the form creates a likelihood that those targeting individuals based upon racism and bigotry will have the option of submitting numerous baseless claims with no accountability. This proposal increases the potential for heightened abuse and profiling, the inhibition of due process and transparency, and the endangerment of victims of violence such that perpetrators could use this form as an oft-resorted-to tool of abuse discouraging victims’ reporting abuse. This online reporting form would be anamplification of, rather than a deterrent to, existing health and safety risks immigrants face every day. This appears to be yet another false solution to an imagined crisis designed to further drive wedges between neighbors and communities. We recommend pursuing policies that unite rather than divide communities and urge you to rescind this proposal as it would threaten public health and exacerbate growing anti-immigrant rhetoric and a climate of fear. We also call upon our leaders to support legal immigration: and to not increase harm through exposing already-vulnerable immigrant children, families and workers to further bias, discrimination and hate.